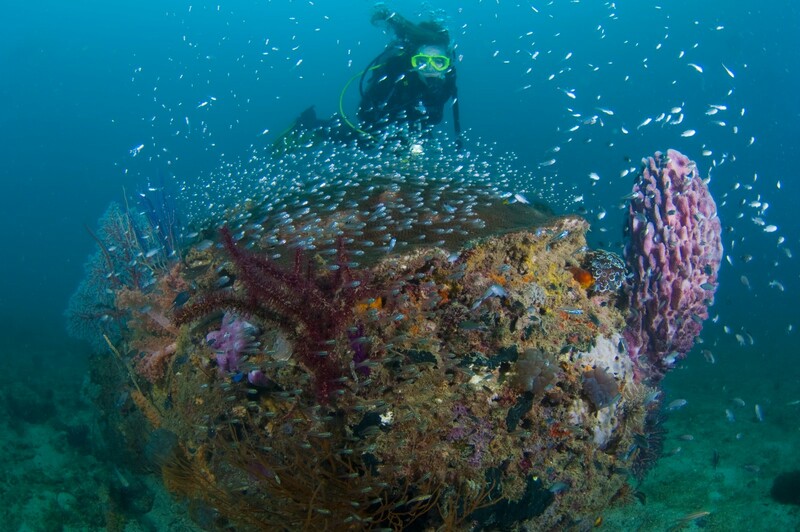 Within the protected Tunku Abdul Rahman Marine Park in Borneo, Gaya Island Resort is a natural sanctuary nestled on a hillside surrounded by one of the world's most ancient rainforests. Gaya Island Resort has been built to blend harmoniously with this vividly hued natural environment, marrying eco minded design elegance, with world class levels of luxury and service. 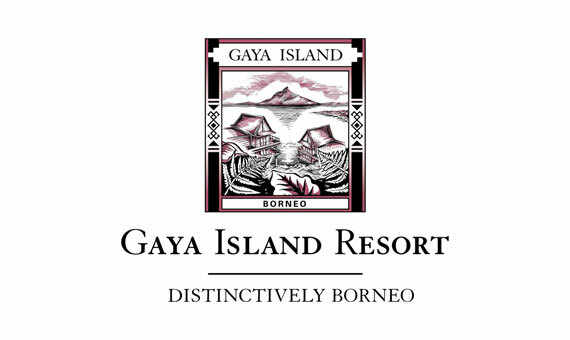 Offering a wide range of activities and programmes that reflect the region's ancestral culture and its incredible ecosystems, both terrestrial and marine, Gaya Island Resort offers discerning travellers an enchanting escape and a rich medley of experiences and encounters that are distinctively Borneo. 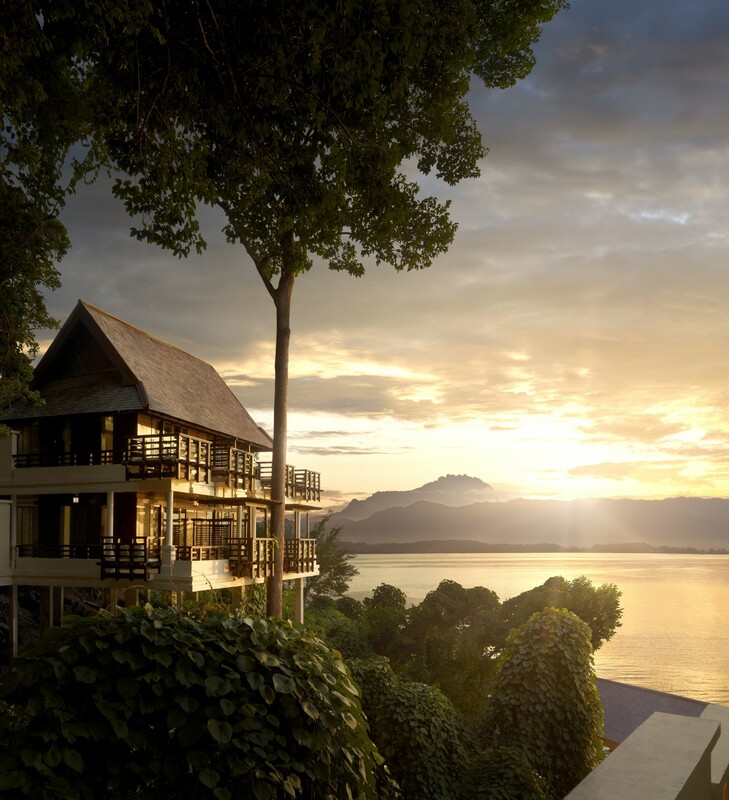 Gaya Island Resort is beautifully situated amidst the rainforest with breathtaking views of the protected mangroves surrounding their 120 villas. 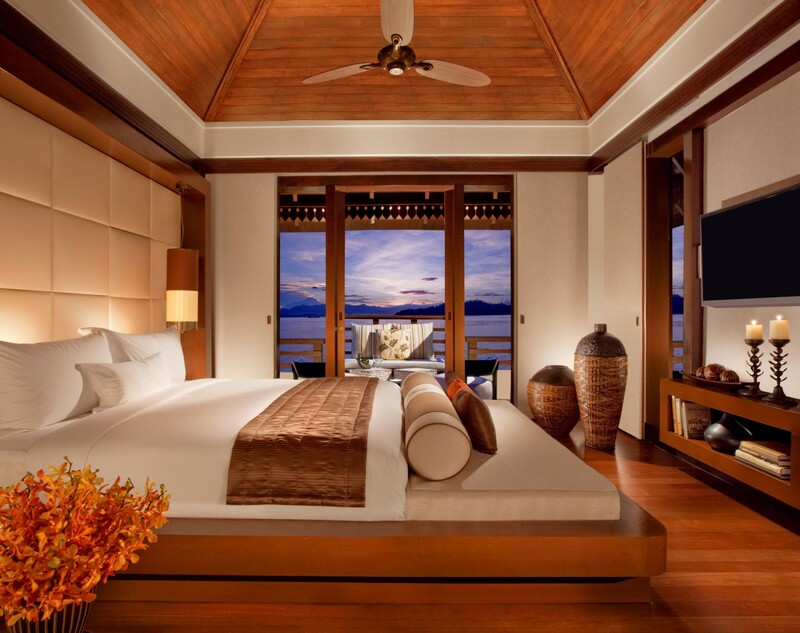 With spacious living areas that blend pared back contemporary design with a celebration of local culture, each villa uses native materials that fit the surroundings, while offering a rich variety of stunning panoramas, including mangrove, tropical rainforest and the sparkling South China Sea. 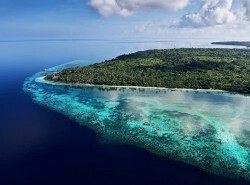 The villas' amenities include writing desk, a powered safe, flat screen television with satellite channels, a large open en-suite bathroom with oversized bathtub, two vanity units and an outdoor verandah with day beds to enjoy the Borneo sunshine. For the curious, the resort's PURE activities – encompassing culture, nature, marine, creative and active experiences - will immerse you in the scents, textures, sounds and tastes of the natural environment and cultural heritage of the region. Via their signature 7 wonders of Gaya experience, led by the senior Resident Naturalist, Justin Juhun, you will be able to witness the conservation efforts of flora, fauna and wildlife, including Proboscis Monkeys, Red Giant Flying Squirrels and the bizarre-looking Elephant Foot Yam flower. Enjoy of a picnic at your chosen nook, a crackling barbecue pit on the beach at dusk or try local cuisine in one of their many venues. 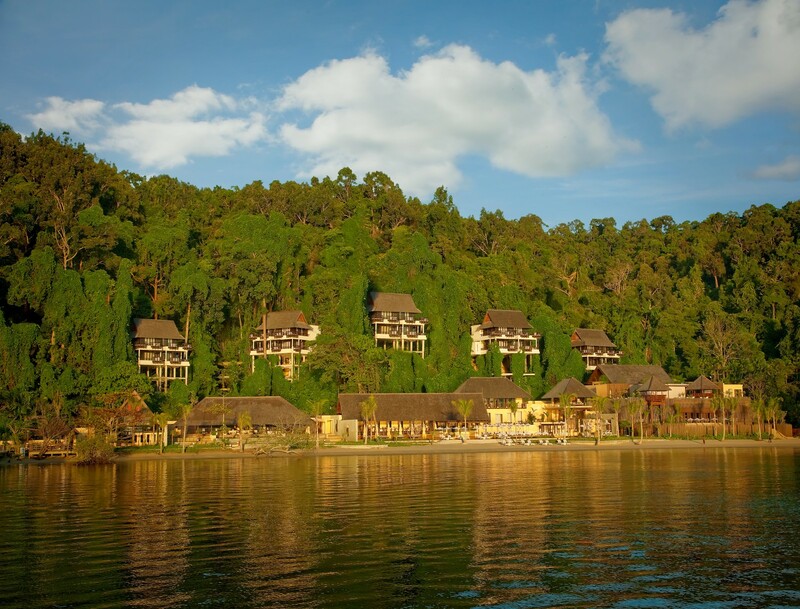 Pamper yourself at the Spa Village Gaya Island, bestowed with the accolade ‘Spa Treatment of the Year’ at the AsiaSpa Awards 2015 for the signature spa experience, Tadau Kaamatan. Tadau Kaamatan, also known as “A Couples Celebration of Rice”, their distinctive spa programme that pays tribute to rice and its historical role played in the Kadazandusun culture. 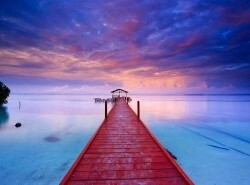 And of course there is both diving & snorkelling to be enjoyed in the marine park on the doorstep. 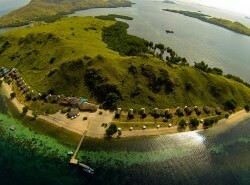 Gaya Island Resort’s proactive conservation role and initiatives have seen them awarded with the Best in Protection of Natural Areas & Wildlife Conservation in 2015 by Wild Asia Responsible Tourism Awards. 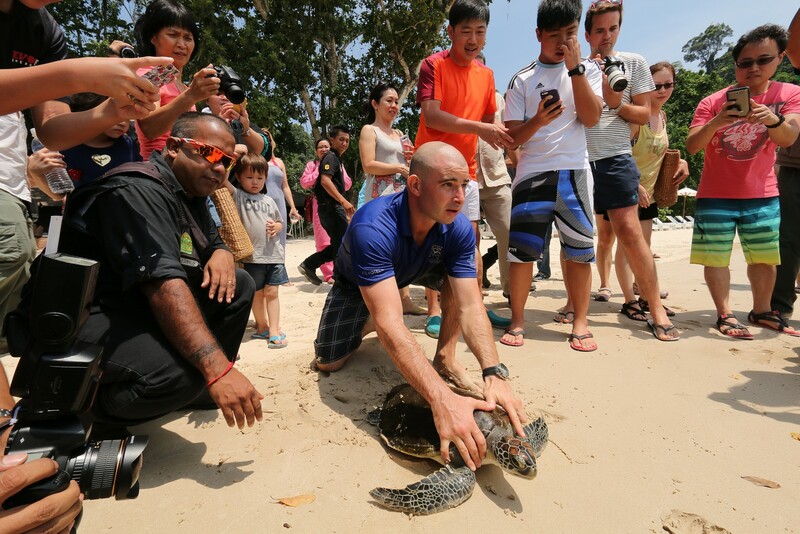 Led by their resident marine biologist, Scott Mayback, activities include sea turtle rescue, rehabilitation and release as well as coral reef restoration with a special focus on marine conservation through education programmes, all developed through the Gaya Island Resort Marine Centre. 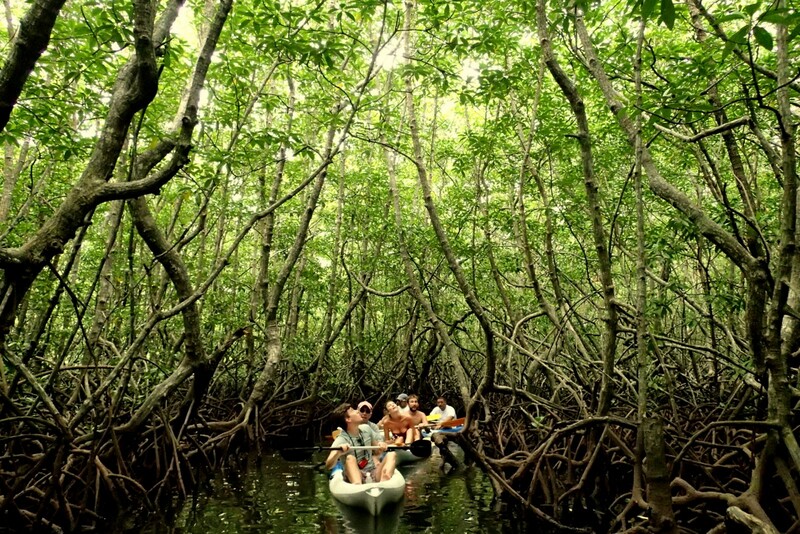 Additionally, the resort is pioneering a programme to preserve and establish a detailed research profile of the proboscis monkeys that live on Gaya Island itself, planting mangrove to reforest identified zones and using motorised vehicles as little as possible. All activities and experiences offered to guests are carefully designed to create minimal impact on local flora and fauna.